I managed to get out for a few hours this afternoon and so did everyone else… I fished up slop from a couple guys travelling quite a bit a ways from home. No big deal. 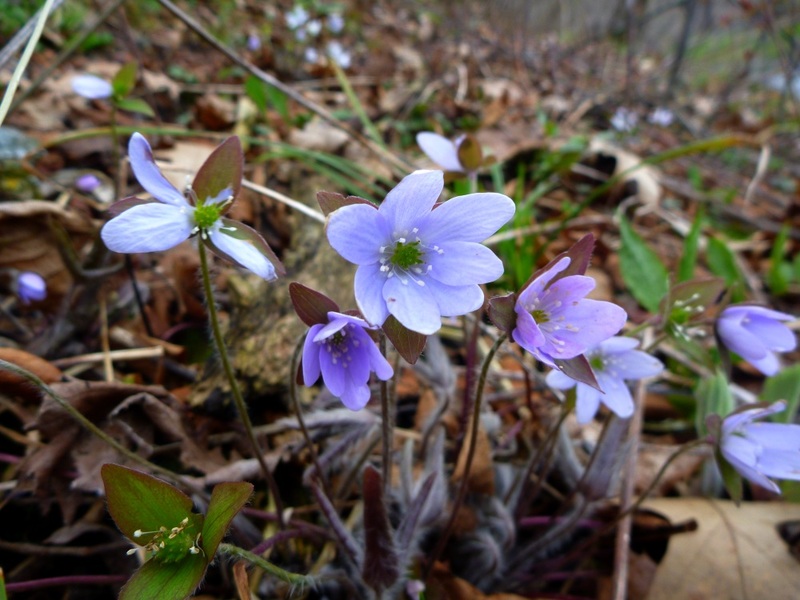 I was more out just to be outside in the woods enjoying a bit of sunshine and the newly blooming wildflowers. My second motive was to check on the status of the Grey Caddis hatch. I have heard reports it was beginning to kick off and although I didn’t see many they were around today. Fished from 2:30-6pm. Caddis were popping well before I arrived, however, I did manage to sit on a couple runs with leaping trout (a tell tale sign of a caddis hatch). Not much to report other than the caddis and rising both seemed to come to a hault as soon as the heavy cloud cover rolled in. Came across a sad scene and something I’ve never seen before. 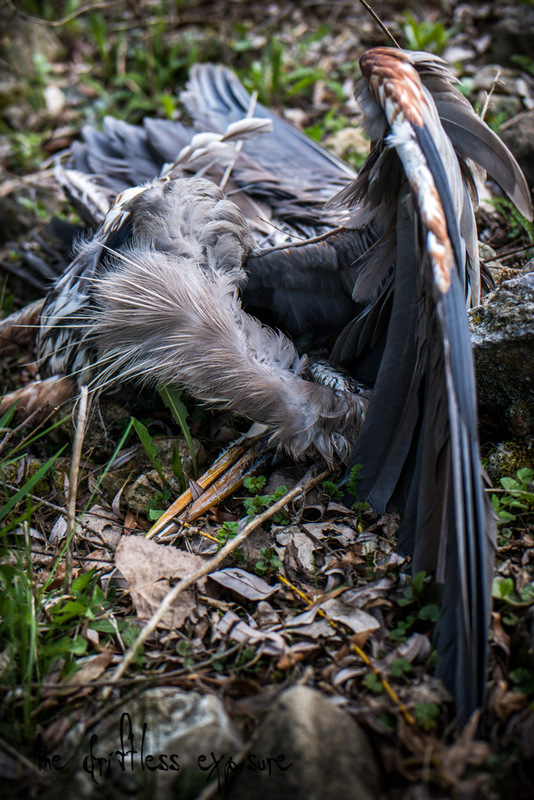 A deceased Blue Heron. 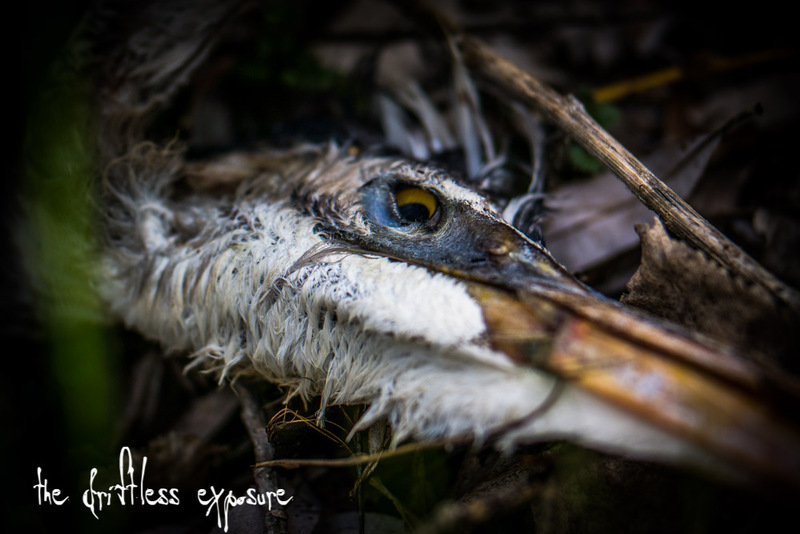 It had to have happened within the last 24hrs, the carcass hadn’t been disturbed and the eyes were still intact and colorful to my surprise. I’ve come across quite a few sights while fishing but nothing quite like this. These are large beautiful birds who never let you get very close, most of us only ever get to see them flying away after we’ve spooked them before we even knew they were hunkered still next to the water. I fished a streamer after the caddis ceased and faired alright. Missed a few light biters and landed a good dozen browns one of which was the spotted beauty of the day. The next week is going to be glorious around the area. First air temps in the 70’s in a week or more, things will dry out a bit and every bug that’s been waiting to hatch is going to pop. This is, however, going to potentially pose a challenge for anglers looking to enjoy rising trout. Caddis could be hatching on top of multiple specie of Mayflies on certain creeks, try to capture a real one if possible that will help narrow things down a bit. Good luck and get out side this week.